This is a very simple small site, basically designed around the purple header image which was a "Vistaprint" business card logo that Paul (Taff) had chosen some time ago and he wanted the site to have the same feel. So plenty of homepage areas to get in the important keywords that Google likes so that this site can rank well locally but also nationally as the business can take the owner all over Europe. Secure transportation of valuable and treasured items is the speciality and Taff wanted to show that he was professional and reliable by having his own web presence. 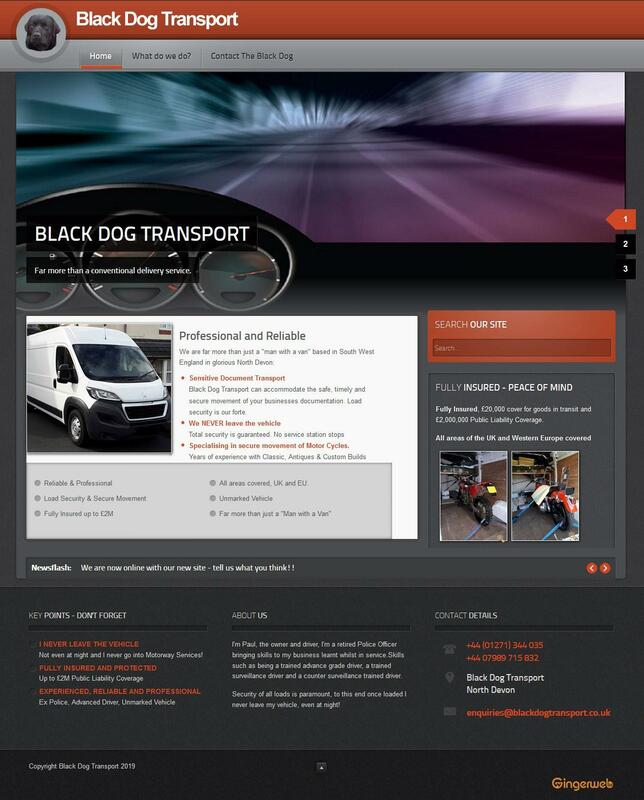 The site is fully mobile compliant and ready to take a blog system in the next few months when the owner is ready. It clearly displays what his business is all about, the options to the customer and a simple means of getting in touch. We are working on the "optimisation" of the site now to give it the best chances to rank well on Google.